Last week I took a super fun and extremely challenging alla prima portrait workshop instructed by a great young painter named Irvin Rodriguez. Irvin and I met almost a year ago at the Frye Museum while I was copying a painting in the gallery. He introduced himself and asked if I was training in an atelier, because who else would be copying 19th century figure paintings? I told him I was studying with Juliette and he said he was eager to meet her and that his cast drawing was actually in one of her drawing books. While talking I learned Irvin was instructed by Jacob Collins for a couple of years and attended the illustration program at FIT in New York. He showed me some of his recent work and it was beautiful, clearly made from a classical perspective but also loose and lively. I was happy to hear that he had started teaching workshops. We exchanged information and he came to Gage the next day where he met Juliette, talked to the school about teaching, and the rest is history. A year later I got to take his workshop and I learned a ton. In part because he’s a good instructor and in part because alla prima almost requires the intensity of the workshop environment to get over hesitation and learn to trust yourself to make the right decision with each mark you make. Irvin seems mostly to paint using an alla prima or “direct painting” method. Alla prima painting (“wet into wet” or “all at once”) is pretty different from how we typically work in the atelier. In the workshop we started out by drawing directly on the canvas in paint and then attempting to place accurate color down on the exact right spot and not fussing with it after. That was the hardest part on top of learning to work faster and paint more thickly. For contrast, I typically draw on paper, transfer the drawing to canvas, make an underpainting and then go over the underpainting with several layers of color. In working faster I sacrificed smoothness, which isn’t always a bad thing, but I also lost my attention to warm/cool contrast. Both of my portraits stayed pretty warm without too many cool notes which would have helped me turn form and achieve more believable color in the flesh. The portrait of Jen above and the one below of Preston are the two pieces I made in the workshop last week. I’d also like to share some of Irvin’s work below because it’s beautiful and inspiring. 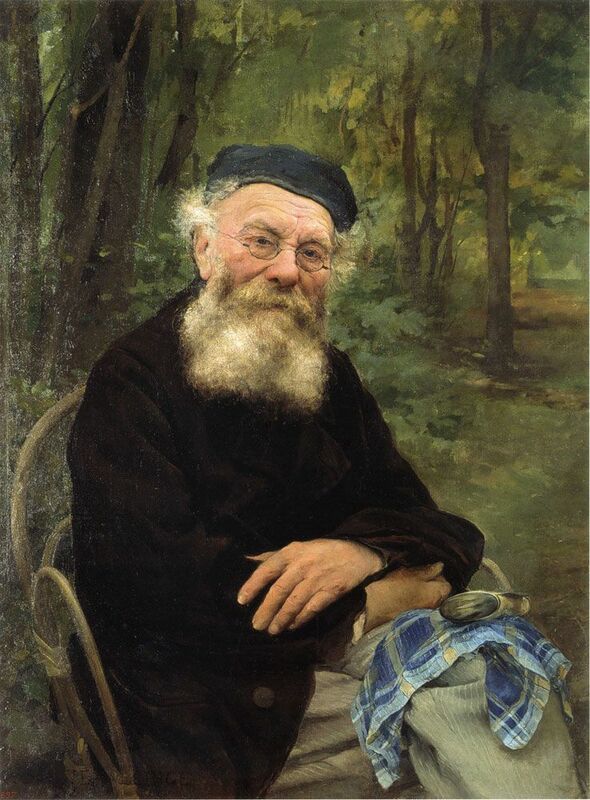 This first painting, of the artist’s brother, reminds me of the emotion in of my very favorite portraits, Jules Bastien-Lepage’s portrait of his grandfather. Next week back in the atelier we’ll be doing one day poses in life room so I’ll get a chance to practice three-hour alla prima paintings each day and we’ll see how it goes!